Bajrangi Bhaijaan shows Excellent Hold on 2nd Friday in China. Dream Run Continues! 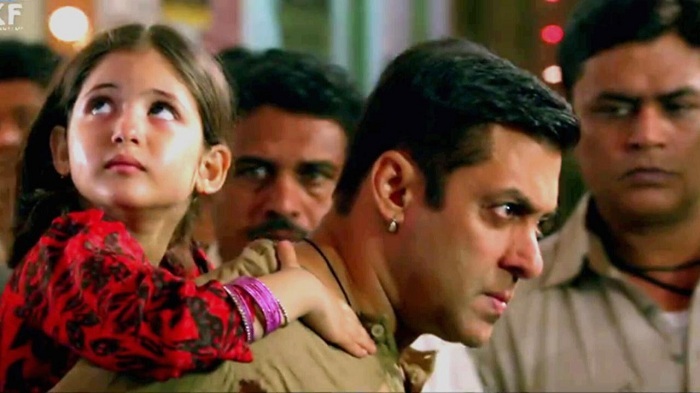 Bajrangi Bhaijaan has shown excellent hold on 2nd Friday (8th day) at box office. This is despite multiple new releases and big Hollywood release in Black Panther. Means, we can expect a huge second week again in coming days. BB showings are reduced for 2nd Friday as there are multiple new releases happened in China Box Office. Despite that film hold well and as we write has already touch $1.75 million. That is whopping INR 11+ crores. Still around 45 minutes are left for the day to end and it may add little more to the days business. BB has registered a nominal drop of just 20% from 1st Friday. This is extraordinary trending. Since, film has shown excellent hold on reduced showings on 2nd Friday, we can easily expect big jump on 2nd Saturday. Showings should also increase as film penetrates more into second week. Fri -> $1.75-1.8 million (expected). Total -> $19.74-19.79 million (INR 128.5 crores expected). Sallu fans ko malum hai Aamir inke haat nahi anewala . Isiliye would hamesha excuses dundhte hai..
Agar kisi see hi pucha Jaye na sallu ke career ki sabse acchi film kaunsi hai to sallu fans confuse ho jayenge. Ye hota toh wo hota par sallu fans se kuch nahi hota. Pahle bol rahe the bb china me release nahi hue china ke baad Dangal ka record gaya. Are Bhai beat karna hai toh Dangal SS ko kardo. .
Nahi toh aap log 2020 me inse compare kareng wo khushiya manayenge tab Tak Aamir 3000cr bana lega ..
Kya bakwas fans hai Sallu ke..